Jillian grew up the Southern Highlands – south of Sydney. She began learning cello at the age of seven from Tanya Phillips. Not long after beginning to learn cello, Jill was able to participate in a local youth orchestra camp – her first experience of playing in an ensemble. 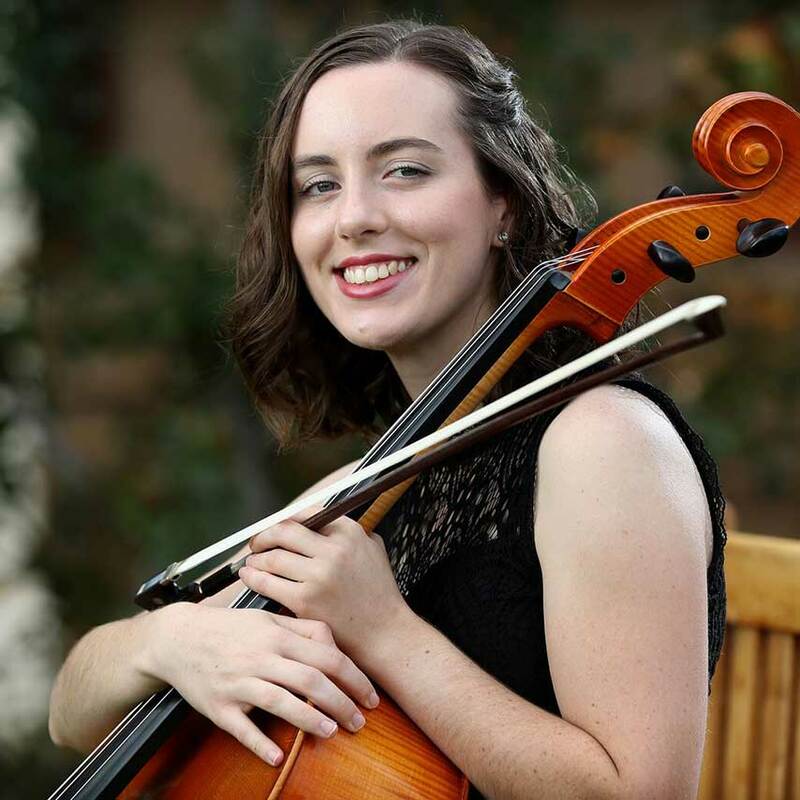 From that day onwards, her love for cello grew in leaps and bounds, leading to a continued focus on her passion of music throughout high school. During this time, she was the principal cellist for several years with the BlueScope Steel Youth Orchestra as well as playing in smaller chamber ensembles – all based at the Wollongong Conservatorium of Music. More recently, Jill has been able to participate in Australian Youth Orchestra programs, as well as performing as a principal cellist and soloist with the Elder Conservatorium Symphony Orchestra and Elder Conservatorium Chamber Orchestra. In 2011, Jill relocated to Adelaide to study a Bachelor of Music Performance under the tutelage of Janis Laurs. Throughout her studies, she also had periods of tutelage with cellists Ewen Bramble and Sharon Draper. Jill has participated in masterclasses from renowned musicians including Howard Penny, Pei-Jee Ng, Li-Wei Qin, Rushad Eggleston, Alban Gerhardt, James Ehnes, Michael Haber, Anna Goldsworthy and Nicolas Alstaedt. Jill currently freelances around Adelaide, teaches cello in a number of schools and private tuition, and plays with the Adelaide Symphony Orchestra and the Adelaide Art Orchestra. When not playing cello or teaching, Jill enjoys spending time with a cup of coffee in hand (or let’s be honest, sometimes the cello and coffee happen at the same time). Outside of this, she is also a sunflower growing, macaron baking, bushwalking, dog-loving, road-trip loving person.